Sporadically I hear from readers who simply want to thank me for my work. I know people read my stuff, but it’s gratifying when someone takes the time to let me know that they’ve found it worthwhile. THIS EMAIL is written as of this twenty ninth (29th) day of March, 2018, by and from [name] (“Author”), a resident of and residing in the state of Florida, to Ken Adams (“Recipient”), a resident of and residing in the [state/commonwealth] of [fill in]. I think its good practice to write people who have helped or inspired me. I’ve been a contracts manager in the federal contracting industry for some twenty years now. I’ve had many spirited negotiations over the years, hearing the most absurd defenses of archaic contract construction and terminology. I first saw your unequivocating style over ten years ago and have frequently referred to your publications to inform and improve my work. Last year I established a consultancy to help companies propose, win and perform within the government procurement market. My clients are often very small businesses with no templates or staff legal support, so I am now very frequently constructing agreements. The more I do, the more I find myself relying on your scholarship. Your career has helped the state of our art and the quality of my work, and I’m personally grateful to you for that. 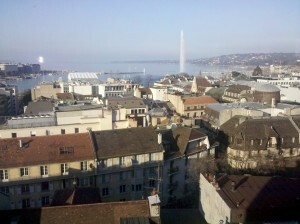 In a couple of weeks I’ll be in Geneva for my intime public “Drafting Clearer Contracts” seminars. For more information, go here. My wife and I lived in Geneva for three years in the 1990s, my daughter was born there, and my brother lives there, so I always enjoy visiting Geneva. I’ve given perhaps a dozen seminars in Geneva to around 200 participants in total. On thing has nagged at me: only one of those participants was from a Swiss law firm. And no one from a Swiss law firm attended my one public seminar in Zurich. Law firms that subscribe to a given CLE vendor might not be inclined to go outside that vendor. Associates might be reluctant to lose valuable billable hours by spending a day outside the office. Associates might be focused on giving the partners whatever they want instead of developing their skills. Law firms might think they can handle in-house their training in contract drafting, although whatever they offer is unlikely to resemble my seminars. Copy-and-pasting dysfunctional traditional language has been profitable for BigLaw, so perhaps they have little incentive to pay good money to listen to someone agitating for change. Some combination of those factors might apply equally to Swiss law firms. But Swiss lawyers working with traditional English-language contracts are working in a second language. If English is your second language, the traditional prose of contracts is likely to seem that much more obscure, and on matters of wording you’re more likely to defer to whatever native-English-speaker lawyers you find yourself working with. My seminars offer a comprehensive antidote to that, so I’m confident that lawyers at Swiss law firms would find a “Drafting Clearer Contracts” seminar worthwhile. I’ve been doing public and in-house “Drafting Clearer Contracts” seminars for, oh, 14 years now. That’s because people find them worthwhile and, shockingly enough, somewhat entertaining. Otherwise, I would have gotten the hook long ago. A good conference, but I don’t think all of the guidance can be realistically implemented by organizations which apply the traditional approach. I think the focus should be on revisions that will be welcomed. I thoroughly enjoyed working on the examples. I have three thoughts regarding the notion of focusing on those changes that traditionalists within your organization would accept. First, apart from two of my recommendations—using this agreement with a small a, using states instead of represents and warrants—there’s nothing inherently shocking about my recommendations. So I have no idea what changes a given traditionalist might object to. I suspect that for most traditionalists, it’s not so much the individual changes that are disconcerting, but rather the cumulative effect: when you apply my guidelines in revising traditional contract language, a lot gets changed, as I discuss in this post. Second, my recommendations make sense. Ignoring them just results in more nonsense in your contracts. And third, even if you know you’re not going to be able to use, say, states instead of represents and warrants, it’s still important to understand the implications of using represents and warrants. So I don’t think it makes sense to pander to traditionalists by deciding up front that you’re going to tolerate some some traditional usages. And it follows that I don’t think I should tailor my seminars to reflect that approach. Instead, I suggest that you be pragmatic in your work with contracts, effecting change when you can and tolerating traditional usages when it’s expedient to do so. I’m a contract-drafting guy, but I have to acknowledge that drafting contracts might not be the most annoying part of the day-to-day contracts process. Assume that Acme does ten deals with ten different companies in which it drafts the contracts using its templates. Then assume that it does those deals using the other guy’s drafts. Odds are that in the second scenario Acme would end up doing a lot more work than it would in the first scenario—producing a draft using a template you’re familiar with is likely to take less time than reviewing a draft produced by the other side. So it’s not surprising that software aimed at reviewing the other side’s drafts should now be attracting attention. The two names I’m familiar with are LegalSifter and LawGeex. They’re welcome innovations. That prompted a bunch of hyperventilating articles, including this one. I’m sure the reported results reflect what happened. I know something about confidentiality agreements, having spent around a year building an automated one. (It’s described in this LinkedIn article.) So I had a look at the LawGeex study, and it prompted the following thoughts. My intention isn’t to criticize, but to offer some context. Yes, humans are fallible. In terms of contract drafting, my presumption is that everything is bad, and I’ve offered on this blog many examples of that. When that’s not the case, I’m pleasantly surprised. So I would expect a comparable dynamic to apply when it comes to review. But the circumstances of LawGeex’s study are a worst-case scenario. If a company is paying attention, it would give those reviewing confidentiality agreements some sort of checklist against which to measure what they’re reviewing. By contrast, those taking part in LawGeex’s test had to rely only in their experience and native wit. Second, the issues flagged by LawGeex are very broad. For example, one issue was presence of a no-soliciting provision. In my automated confidentiality agreement, the no-soliciting provision is customizable up the wazoo, starting with whether it covers just hiring or both hiring and soliciting. Simply flagging no-soliciting provisions doesn’t get one very far. Third, inevitably, LawGeex’s list of issues wasn’t comprehensive. To select an example at random, it doesn’t include flagging instances of the word proprietary, something I wrote about in this 2010 post. And their list doesn’t cover general drafting issues, such as whether something should be expresses as a condition and not as an obligation, and I doubt it ever will. That’s why review by software should support review by a person, not replace it. Fourth, spotting issues is the first part of what the technology does. Then LawGeex suggests edits based on a company’s pre-defined legal policies. I’d be interested to know the level of detail it offers, in terms of both what it reads and the suggestions it offers. But that would require a demo. For purposes of this post, I’m just looking at their study. And fifth, my biggest question about the new crop of “AI” technologies isn’t the technology per se, it’s the humanoid expertise it incorporates. That concern applies to all services that address contract content. I’m toying with the slogan “Editorial expertise is the new black box.” In the case of services that offer contract templates, if I don’t know who prepared a template, I’m not going to trust it. Even if I do know, I’ll be skeptical unless given good reason not to be. Relying on someone’s contract language requires a leap of faith, so I know that I have to not only be an expert but also appear to be an expert. The same goes for services that assist with review. To its credit, LawGeex identifies the “team of prestigious law professors and veteran lawyers” that prepared the list of issues that forms the basis for the test. But I happened to spot that the heading for one of the identified issues was “Exclusion—Public Domain.” That’s a little worrisome: as I note in this 2010 post, the phrase in the public domain “has no bearing on how widely available any given information is. Instead, it means that the information isn’t protected by intellectual-property rights and so can be used by anyone free of charge. That would represent an irrationally narrow exclusion from the definition of ‘Confidential Information’ ….” So LawGeex’s team flubbed by using that phrase, albeit just in a heading. Might they have missed other stuff? Just as those performing an old-fashioned review are likely to be fallible, the experts giving instructions to AI might be fallible too. Most people shouldn’t find that sort of problem disconcerting, as most of us would be grateful to have the benefit of the collective expertise of LawGeex’s team, even if they’re fallible. It’s not surprising that LawGeex’s report features confidentiality agreements. They’re the cockroach of the contract world—ubiquitous, annoying, and apparently indestructible. And you see the same issues in contract after contract. It will be interesting to see how LawGeex and its competitors do when it comes to reviewing more fluid kinds of contracts. This category of product has the potential to make contract review quicker and more effective. Let’s see whether the technology and the underlying expertise are up to the job. And, to quote this post, let’s see whether the intended users give a ****. I can confidently say it’s the most flamboyantly dreadful contract I can recall seeing. Trust me, I’ve read my share of bad contracts, but bad business contracts tend to relentlessly repeat standard forms of dysfunction. By contrast, on display in the Stormy Daniels contract are myriad standard and wildly original forms of suboptimal prose and layout. 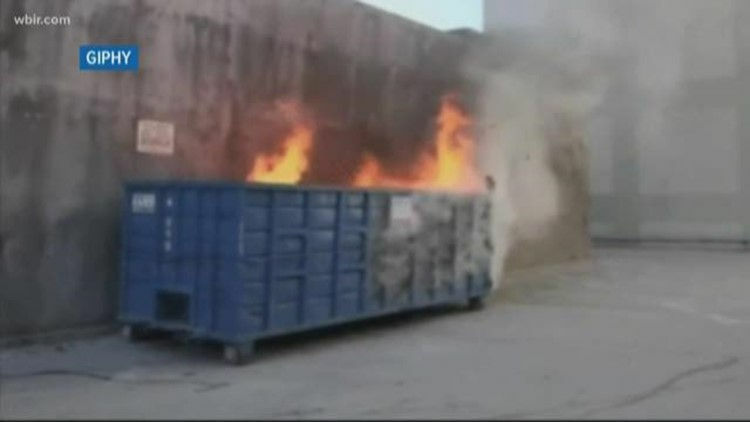 It’s a dumpster fire. But because of that “and/or”, one could argue that the contract is valid if just one of EC and DD signed it. But I have never seen “and/or” used in this context. Gobsmacked. That issue might actually have a bearing on the dispute. Otherwise, my only concern was the quality of the drafting, and what I saw established that the drafter was semiliterate, transcendently careless, and not a transactional person. You’ll find below some random examples. But before that, why did I bother looking at this contract? Well, first, everyone loves a train wreck. Second, and more seriously, I, like everyone else, have been in the peanut gallery during Trump’s reign. Here, for the first time, something related to Trump has come within my sphere of competence, and it’s sorely lacking. And third, if anyone comes away from this with a sense of what’s required for clear contract language, that would be a bonus. Why is the first page given the page number zero? Hey, let’s misspell nondisparagement in the title! Why are the introductory clause and the recitals presented as if they were part of the body of the contract? The recitals appear to contain obligations. That’s not what recitals are for. The contract is full of idiosyncractic blather such as “This Agreement is entered into with reference to the facts and circumstances in the following recitals.” Recitals do what they do: they don’t require any fanfare. The heading 3.0 should be followed by section 3.1. Instead it’s followed by the heading 3.0.1.1. That’s like no multiple-numeration scheme I’ve ever encountered. Everything under 3.0 and before 3.1 uses hanging indents. The rest of the contract uses first-line indents. WTF. In section 3.0.1.1.2 (crazy enumeration! ), an obligation is imposed on PP’s lawyer, although they’re not party to the contract. Section 3.1 (finally!) is given the heading “Undertakings & Obligations by PP.” What’s the difference between an undertaking and an obligation? One of those undertakings and obligations is “PP shall execute this Agreement.” So if PP hadn’t signed the contract, she would have been in breach of the contract! Hahahahahaha. Here are the verbs used with respect to PP’s handling of the “Property”: sell, transfer, turn-over, assign, deliver, divest, convey. Hey, why not add a few more? Blocks of text (a) through (g) in section 3.1 start as tabulated enumerated clauses and end as subsections. That’s messed up. Tabulated enumerated clause 3.1(c) somehow acquired a solitary second-level tabulated enumerated clause, clause (1), but it’s not introduced as a tabulated enumerated clause should be. I assume it should have been given the enumeration (d). Section 3.2 says “all of PP’s respective rights, title, and interest in and to the Property.” The “respective” would make sense only if this sentence applied to more than one party. Section 3.3 says “PP represents and warrants … that upon such delivery to DD, PP shall not maintain ….” In other words, with respect to that language of prohibition, “represents and warrants” constitutes what I call “throat-clearing”—a redundant verb structure preceding what should be a stand-alone provision. Section 4.1 uses both means and includes as definitional verbs. See A Manual of Style for Contract Drafting ¶ 6.4 for why that doesn’t make sense. Section 4.2 goofily states tangible and intangible in italics. More throat-clearing in 4.3.2(a): “PP agrees and warrants and represents that PP will ….” And why switch the order to “warrants and represents”? In 4.3.2(a) will is used to express an obligation; elsewhere other verb structures are used to express obligations. It goes without saying that the verb structures are chaotic throughout this contract; they don’t come close to complying with MSCD‘s categories-of-contract-language framework. For more about that, go here. Section 4.3.3 contains the defined-term parenthetical “(‘Third Party’ and/or Third Parties’)”. It’s always silly to state a defined term in both the singular and the plural when you’re defining it; furthermore, this isn’t even the way to do that. Note in passing the weird and/or and the missing opening quotation marks. Section 4.3.5 says “PP separately and further warrants and represent ….” The “separately and further” is redundant. And what’s a botched subject-verb agreement among friends? The drafter has an uncertain and shifting understanding of the role of punctuation in parentheticals. OK, I’ve had enough, and I’m only halfway through. Over and out. MSCD guidelines mostly fly under the radar. Apart from a couple of notorious recommendations—I’m talking about you, this agreement with a small a and states instead of represents and warrants—the guidelines don’t attract attention to themselves. Well, the fourth edition of MSCD contains a revised version of that cover note. It starts at the bottom of page xxxix of the introduction, which is available here. If you’ve tried my cover note or one of your own, I’d like to hear how it worked out. Alternative Defined Terms + “And/Or” = !?! On Twitter, some suggested that this practice is a hedge against copy-and-paste problems. That by itself would be unimpressive—what’s so hard about Ctrl + H? But it goes beyond that, in that it seems that the drafter is signalling that they don’t know whether one or the other defined term, or both, are used in the contract. But it’s actually a little more subtle than that. Usually alternative defined terms are linked with or. It wouldn’t make sense to interpret that as meaning that the contract uses only one or the other defined term. Instead, the drafter is in effect saying that a given instance of use of a defined term for that definition might be one or the other defined term. Applying that logic consistently, use of and/or to link defined terms would suggest that a given instance might consist of … both defined terms? This is what I get for doing a blog post late on Friday afternoon. Bring on the weekend! During the Academy Awards show last Sunday, the “Best Actress” winner Frances McDormand unleashed on the world the phrase “inclusion rider.” That prompted a tsunami of chatter on the subject, including this by the Washington Post and this by Vanity Fair. But I was interested in the rider itself, not explanations. So I asked around, and I asked on Twitter, but no one had a copy. I emailed one of the people responsible, Kalpana Kotagal, a civil-rights employment lawyer at Cohen Milstein, but I didn’t hear back. I ended up having an exchange on Twitter with the Annenberg Inclusion Initiative (@inclusionists), a think tank at the University of Southern California. One of the people behind it is communications professor Stacy Smith, the other person responsible for the inclusion rider. What they told me was puzzling. They said “Lots of folks have the language,” that it’s available for industry use, and anyone who wants a copy can ask for it by emailing them, but they were unwilling to send me a copy. If they’re so keen to have the entertainment industry adopt this approach, and if they’re sending copies of the rider to “lots of folks,” why not send it to me? Smith first introduced the idea in a 2014 Hollywood Reporter guest column, but it lay mostly dormant until this year’s Oscar night. The media scholar says she’s not aware of any actors having used the rider, and entertainment attorneys say they’re unfamiliar with it. “Seen none. Have none,” says a top talent lawyer. Yet Smith and Kotagal aren’t sharing the clauses they’ve crafted. “The language is for attorneys, actors and content creators — we don’t give it out,” says a colleague of Smith’s. “We want to avoid public negotiation,” says Kotagal, but the Washington-based attorney may also see secrecy as a ticket to Hollywood legal work. “Civil rights lawyers have a right to make money,” she notes. So it’s perhaps naive to think you can build a revenue stream by keeping contract language close to your chest. Instead, you get business through your expertise. Marty Lipton’s highly lucrative poison-pill legal work wasn’t based on his having access to the relevant Word templates—the documents in question quickly became public. Instead, clients sought him out for his expertise. And second, there would seem to be a conflict between advocating that the industry adopt inclusion riders and wanting to limit distribution of inclusion-rider text. Getting the text out there might help prevent the inclusion rider from disappearing from discussion as rapidly as it arrived. By the way, I have no reason to think that Smith and Kotagal’s inclusion rider is a model of contract drafting. In our Twitter exchange, @inclusionists said, “We had a civil rights attorney and expert on hiring and discrimination craft the language. Then, it was vetted by multiple entertainment attorneys and business affairs folks.” But what seems to be missing is any input from a contract-drafting specialist. You don’t have to be a physicist to experience the force of gravity. Similarly, I’m only a casual student of inertia, but I’ve long grappled with it. My most obvious error has been predicting the pace of change. While there is sufficient demand for change to keep me and a cadre of fellow travelers occupied … , the overall pace of change keeps being far slower than I imagine even when I update my priors to incorporate the observation that the pace of change is far slower than I imagine. Massive passive resistance. Agency dilemmas. Institutional inertia. Status quo bias. Loss aversion. Endowment effects. Lack of urgency. KAP gaps. The Chasm. System justification. Institutional isomorphism. Reams of academic literature explain the Planckian notion that progress does not occur when its opponents see the light but only when they lose their power to oppose—that is, funeral by funeral. I’ve not only read my Rogers, I’ve read Bill Henderson’s masterful series applying the Rogers Diffusion Curve to innovation, or lack thereof, in the legal ecosystem. I’m inclined to add to Casey’s list another source of inertia. It’s encapsulated in my mind by the phrase We don’t give a ****. (Fill in the blank as you see fit!) Allow me to explain. Recently I saw online an extract from a contract drafted by a global company. It exhibited traditional contract drafting (albeit a slightly modernized version), in that the prose was both clumsy and unhelpfully legalistic. This extract wasn’t an exception: it was broadly comparable with another contract drafted by that company that I had had occasion to examine. The company in question has the resources to do things right. And they have at least a passing acquaintance with what “right” looks like. But they’re not interested. In my one interaction with them, they made it clear that they didn’t wish to hear about shortcomings in their contracts. Inside counsel are really busy doing work that is mission critical to the enterprises they serve. They are overburdened and do not have the time or other resources to pursue transformative change within or outside the law department. In this case, I don’t think that captures the dynamic, and neither do any of the more nuanced explanations. I simply concluded that the company in question doesn’t give a ****. Studies of inertia tend to seek to explain why rational economic actors opt to stick with suboptimal results. But perhaps we’re not dealing with rational economic actors. Maybe we’re dealing with people for whom the suboptimal is acceptable because achieving the optimal is just too much of a drag. I’m hard-wired to give a ****. My family refers to me as “the society policeman.” Waste and selfishness in the public sphere makes me uncomfortable. When I think of, say, what it took to land on the moon, I think, They gave a ****! When I think of the Swiss train system, I think, They give a ****! Currently the zeitgeist seems to contain a big helping of We don’t give a ****. A random example: whenever I return from my travels, take an AirTrain from JFK, and find myself at Jamaica Station, I survey the grubbiness and find myself thinking, We don’t give a ****. When it comes to my corner of the contract-drafting world, I like to assume that people would prefer to avoid wasting time and money, hurting their competitiveness, and assuming unnecessary risk, so like Casey I find a bunch of explanations for continued dysfunction. But let’s be realistic—it’s inevitable that some proportion of the inertia that afflicts contract drafting is attributable to We don’t give a ****. Tackling dysfunction requires putting yourself out for the common good. It requires challenging the status quo. If you’re mainly concerned with doing the minimum and not rocking the boat, you’ll stay clear of tackling dysfunction, and you’ll probably do just fine. I’m not inclined to get hung up on this. If I thought the don’t-give-a-**** contingent had the upper hand throughout the industry, I’d throw in the towel. Instead, I’m constantly reminded of the people and organizations out there trying to do better. I’ll continue to do my thing for those who do give a ****.